As a woman of a certain age, I tend to lose touch with some of my friends. It seems that all of us are busy going here and there–making sure that everyone is happy and content. It seems that most of my friends are well into their careers or starting new ones. 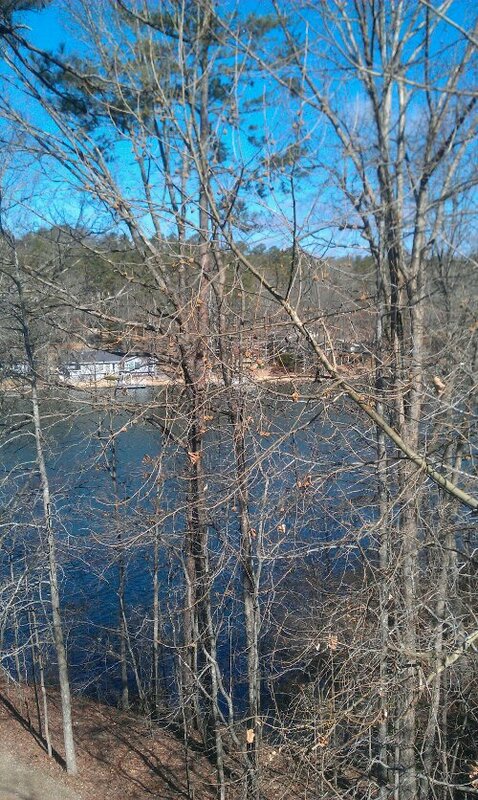 While on Spring Break in Hot Springs Arkansas, I have decided to invite my friends to go with my husband and me. He doesn’t mind because they don’t take up that much room and are very quiet. I even invited someone who I wanted to meet. Yes, I invited Supreme Court Justice Sonia Sotomayor. She has been someone who has always fascinated me because she is a strong woman of a certain age. 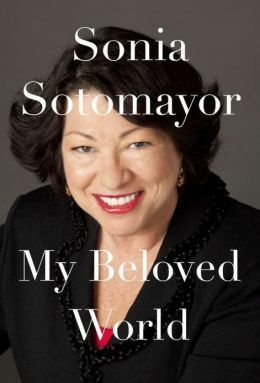 Justice Sotomayor is woman who like most of us has hit her stride as she has matured. I think her story will be one that will enlighten me, and also one that I will enjoy. Oprah and I have had to keep in touch with each other by way of “Oprah’s Next Chapter” which I watch every week. She keeps me informed about the in’s and out’s of some of my favorite people–loved the show with Wayans family (if you haven’t seen that one, it is wonderful). I just felt it was time we sat down and had a girl-to-girl conversation so I invited O magazine to come along. We’re going to talk about everything. We’re going to start in the morning with a cup of coffee and end the day with a glass of wine. 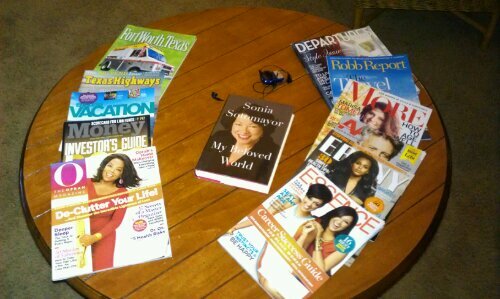 I had to invite my old friend Ebony magazine. Ebony has been there for me when no one else was there. She has seen me through all the stages of my life. Sometimes we tend to forget those that were there through it all. Desiree Rogers has done a wonderful job reinventing Ebony, but keeping it true to it’s roots. Since I am on into my second act of life, I always try to know what to do with my money so that I can continue to do some of the things that I like to do so I bought along Money magazine. It has helped me try to insure that even as I mature even more I will be okay financially. I love the little financial quizzes. My better half loves to drive wherever we go, and my girlfriend Avis and I are always up for a road trip. 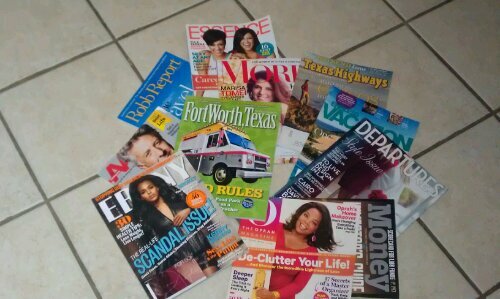 They can be so much fun when you don’t have an agenda, and time is not an option so I bought along Texas Highways magazine. I truly miss Susan Taylor, you know the “In the Spirit” lady. She was one of the reasons that I loved Essence magazine. Essence has changed, as I have too, but it still talks to me about the beauty and the intelligence of “me”. Can you believe Tia and Tamera are married with children. 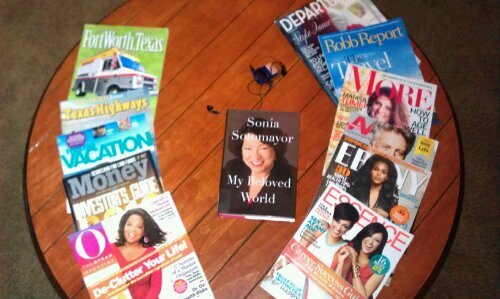 Of course every woman of a certain age should have More magazine on their night stand. It is for and about us. This year our first lady, Michelle Obama will get her AARP card. Their magazine is really helpful. It talks about money, lifestyle, travel and more–I like it. I live in Fort Worth, Texas–the best in the West so I have to bring along the city magazine which is one of my favorites. I say this with tongue in cheek. I have had a running battle with them to put my alma mater correctly in the colleges/university issue. Somehow they can’t seem to understand that Texas A&M Commerce has one of the best undergraduate and graduate programs in the state. I keep telling them and will continue until they get it right. Even with that, they have the in’s and out’s of the city, and they are a wonderful city guide for Fort Worth and Arlington. Departure magazine let’s me dream and Robb Report makes me wish. These two are my sister’s. They take me away to places that I want to go to. I love the trips they take me on. Endless Vacations magazine says it all–no need to explain. Since I’m about to get to know my friends again, I also bought my music. I don’t want to disturb my hubby as my girls and I have fun. 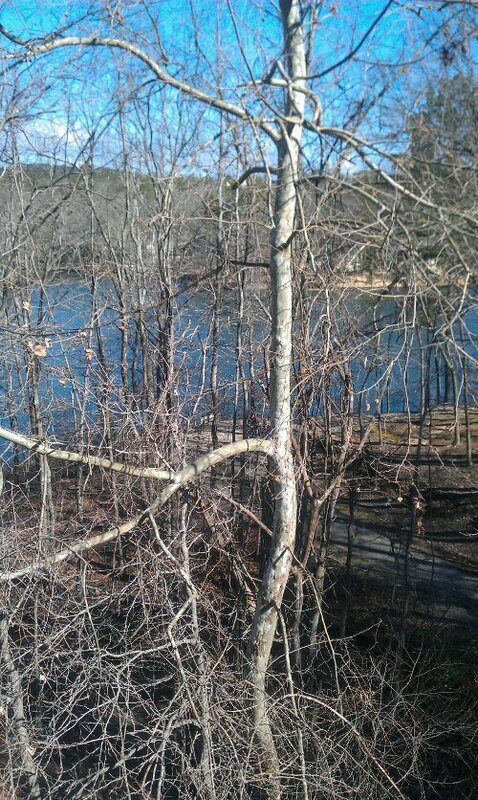 When the girls and I get to talking, we can look at the lake, and just relax. There are even places that we can get our exercise on–walking trails. We just need to bundle up and get moving. While I’m talking with the girls, I will have to do a little work too. I will have to tell them my girlfriend Britine Burton is running for the Arlington Independent School District School Board, and believe it or not I’m trying to assist her. I’ve bought along a couple of pieces that I need to proofread. This will not take long, then I can get back to my guests. New friends are wonderful, but you can just be yourself with old friends. Remember “thisisyourbestyear“. It’s always GOOD to catch up with Old friends. You find out just how much you have misssed. Wonderful article. I could not stop reading. This old friend is still here. Take care my friend. Thanks for the read. Let’s try and get Alpha Epsilon together if only for a day. Thanks again.